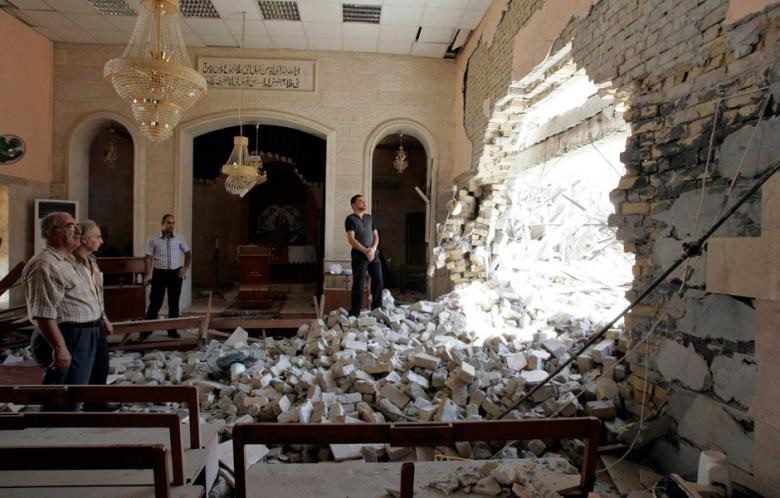 Christians in Iraq are being tortured and killed while the world looks on and does absolutely nothing. 4500 American lives were sacrificed to establish a Democratic government in Iraq but now a Sharia law based government is taking its place — by force. The head of Open Doors, a Christian persecution support group, speaks out on ISIS in Iraq in this article from Christian Post. CP: What type of impact is ISIS having on Christians? Curry: The group ISIS is an Islamic terrorist group that had in the past been closely associated with al-Qaida, although it’s not an official part of al-Qaida now, it is part of that ilk. It has been fighting against the Syrian government in Syria and so it’s part of this string of countries that is fighting Islamic terrorists. The goal of this group, as with other groups, is to set up Sharia law. Now Sharia law has already been proclaimed by the group in the northern parts of Iraq in Mosul that they’ve taken over and their agenda is clear. They want to set up a regime that forces Islamic faith and its most extreme tenants on people and this is going to directly affect Christians who choose to practice and wish to practice their faith in Iraq. It already has affected it in the sense that there’s been an exodus over the last several years, even in the course of the last several days, of Christians who remained in northern Iraq away from there because they know what it means when a group like ISIS tries to implement Sharia law. CP: Why were Christians fleeing Iraq before ISIS? Curry: Since the Iraq War, there’s been a mass exodus of Christians out of Iraq and it’s due to the fact that there have been pockets of extremists that have been making violent attacks on Christians, in Christian areas and churches. I refer you back to Christmas Eve when there was a bombing of churches there in the Northern part of Iraq by these groups. So these kind of events and general hostilities made it very difficult for Christians in Iraq and so there’s been a pilgrimage, an exodus of Christians from the area, but now, even those that have remained are certainly leaving and/or considering leaving. CP: Can you talk about the repercussions that the U.S.’ decision to remove Saddam Hussein had on Christians? Did that embolden many of these extremists? Curry: Open Doors is not a political organization. What we try and do is highlight how Christians are affected by activities that happen around the world as far as their freedom to express their faith and practice their faith. So I guess all I would really want to say on this subject, is the facts that we know it, that since the Iraq War, the government has neither had had the capacity or the willingness to protect some of these Christian areas and Christian groups, so churches become soft targets and so forth. It’s logical, then, that Christians would either flee from that or try to avoid that. CP: To what extent are Iraqi Christian refugees that fled to Syria, now being displaced a second time? Curry: There is a porous border between Syria and Iraq, so some of these issues are related. This group ISIS does operate in the Syrian realm as well. 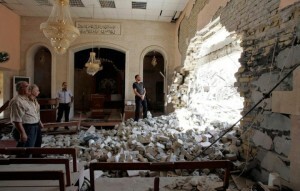 This is part of the issue when you are talking about Christians within the Middle East… The Pew Research Center came out with an analysis that validates what Open Doors has been saying for years — the Middle East has seen a dramatic drop in Christians and there’s been an exodus of Christians within the Middle East because of these kind of rolling conflicts. There’s political reasons for it and so forth but the people affected on the ground are Christians who are minorities within these communities. Ten percent of Syria was Christian and now, of course, they’re a target by Islamic extremist groups and the government is no longer able to protect them the way that it had in the past. They’re on the run … and Iraqi believers head to Syria, and then they are all pushed out to Lebanon or to Turkey. One crisis is affecting its neighbors and it just seems to keep rolling from one situation to the next. The result on the people is that they’re influx, they’re in transit and it’s extremely dangerous so you have a crisis among the refugee population in the Middle East. Dr. David Curry is the CEO of Open Doors USA, an organization which advocates for persecuted Christians around the world. He recently returned from Egypt encouraged about the state of Coptic Christians, the focus of which will be featured in the second part of this Q&A. In Part 1, Curry discusses ISIS’ surge in Iraq and its implications for Iraq’s remaining 500,000 Christians and its effects on neighboring Syria.